AddressLabels makes printing address label sheets for Christmas and mailing lists really quick and easy - whatever your age! Compatible with the new Mac Address Labels app - transfer lists via the dropbox facility. Just what you need to organise your Christmas card or other mailing lists. Number 1 iPad Utilities App last Christmas on USA and UK stores. •	No more forgetting to send a holiday card – use your list year after year. •	All the usual Avery like label sheet types supported. •	Create Return address labels. •	Create simple Custom labels e.g. for produce labels. •	Record when cards have been written, mailed, hand-delivered or sent as eCards. •	Number of stamps required displayed for each list. •	Record when cards have been received. •	Enter names and addresses manually, or select from your Contacts. 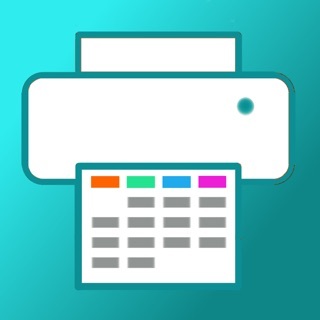 •	Print directly from your iPad or iPhone via Airprint-enabled printer. •	Email list to your computer and print from there. •	Store extra information e.g. names of children, when to send the card, type of card this person likes etc. •	Also use for Thanksgiving & Easter card lists, plus a General type which can be renamed as needed e.g. birthday cards, New Year cards, Party/Wedding invitations etc. The app can be also just for general mailing lists. •	Lists can be copied from iPhone to iPad etc. using the dropbox backup and restore feature. •	Check person’s history e.g. to see when they last sent you a card. Should you still send if you haven’t received a card from them for a few years! •	Use “alias” for cards. e.g. you can import “Mr John Smith” from Contacts, but display and print “John and Mary” or “The Smiths” etc. •	Great reviews – see below. Check the support web site for instructions on using the app (https://ios.addresslabels.app). "This app, however, is nothing short of brilliant, easy to use and printing sensible labels." 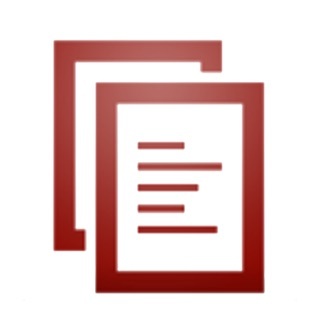 "This app certainly takes the pain out of producing your Christmas and other lists. A lot of thought has gone into this truly excellent product." "This is a superb program and does what it says simply and efficiently. The developer also responds promptly to emailed suggestions for improvements. Importing from Contacts works well and amendments are instantly carried through. My Christmas cards have never been sent out so early!" "I love how this app has streamlined addressing my Christmas cards!! Thank you!!" "myCardLists delivers an extremely effective way to manage card lists which in my view means the ability to easily compose lists from your Contacts, get the labels printed, and keep track of the cards you received and those you sent! Add the ability to manually enter list members, assign nicknames, select from multiple addresses, intelligent handling the country portion of the address, accommodate a large range of label types, AirPrint directly or produce a PDF of the labels, clone new lists from existing lists, all wrapped in a visually pleasing interface. Winner! I love spending 99 cents and getting and app that focuses on only doing a few things, and does them very well!" "I hate addressing my Christmas cards. This app made it very easy to make labels from my iPad. I don't have a printer that works with my iPad yet, so I really appreciated having the capability to send them as a PDF to my email address. 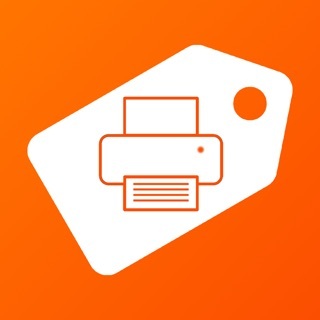 The app is awesome..."
Usually the app prints perfectly to labels without a need to change the printer settings. just very occasionally there is a problem and the user resorts to emailing the labels file and printing via a computer. There is a small change in this revision to hopefully improve on that. This app addresses a HUGE flaw/shortcoming of the ipad, iphone and icloud. You can’t print from Contacts. On the mac computers you can easily print envelopes for a group. It is not possible from the ipad, iphone, or icloud. So, if you don’t have a computer, or an Apple computer, you are out of luck. There is no way to do it. A terrible oversight on the part of Apple. Also, it seems nearly impossible to properly import my contacts to my PC. I spent several hours trying to figure it out myself, then on the phone with Apple, then at the Genius Bar. They finally determined that it is ‘t possible....so, this app is AWESOME. However, I contacted the developer last year, requesting that the option to print envelopes (of several sizes) be added. Her replied, but said it is too difficult. I don’t understand why. In any case, I personally think an envelope printing app would be better, because printing envelopes takes less time than having to stick on labels, costs less, and looks better. For all these reasons, I am requesting again that the envelope option be added. No one else does it, so you would be doing everyone a great service. I find this app a little confusing and difficult, because there aren’t any instructions, but it is better than any other option out there. Thank you for making it! Hi - thanks for that. I haven't refused to add the envelope functionality. In fact, I am seriously thinking about doing so. Actually, one user of the mac version of the app has successfully printed to envelopes. I think the same method could be applied to the iOS version. If you are interested in hearing more about this, please contact me on support@ios.addresslabels.app In fact, please contact me again to talk about the addition of envelope printing to the app. As for instructions, there are numerous help pages on the app's website - iOS.addresslabels.app Have a look and let me know if you think there is something missing. Wow! Time, effort and money saver! It’s a year later and the app still gets useful updates. If I take the time to click who sent us cards as we get them I can track who sent them easily. I can’t say enough about this app and the developer who is very promptly responsive to suggestions. Well with the money! Thanks for the great review 😄 I'm pleased my app has made things so easy for you. This app is a great solution to Apple’s problem. In Contacts, you cannot get address labels to print displaying First Name first. Rather, Contacts prints last name first. This has been an ongoing issue for years now. CardLists has been my solution to this problem all these years, and I just printed out my labels for this year in record time! Years ago, I had a question for the developer, and the only way he could have gotten back to me with the answer any quicker would be with him sitting next to me. This year, I had great success lining up all my addresses on a label sheet of 10x3 by using the font Futura-CondensedMediumFont. Everyone fits perfectly. Your mileage may vary.